Creepy, Crawling, slimy, slithering….BUGS! Club Kids will be exploring the world of Bugs this week. Come by to make art projects like bumble bees, lady bugs or ants. There will also be buggy matching and counting games, workouts, books and so much more. It’s a week of fun your little ones won’t want to miss! Sugar is sweet & so are you! It is flower week at Club Kids and the fun is just beginning! We will be seeing what happens to white flowers when they are put in colored water, making flower crafts, have the flower shop set up and lots more flower power fun. So stop by, smell the roses, then stay and play while you’re here! At Club Kids we are taking the week to celebrate all the mommies! Bring the kids to play while you get in a much deserved kid free work out or pampering right upstairs. Dads – needing some last minute gift ideas? We will have lots of Mother’s Day crafts and projects that will make a mommy smile. We can’t wait to see & celebrate you moms! Come one, come all! It is circus week at Club Kids and you are sure to have a great time! There will be shape clown making, elephant stomping, “tight rope” walking, juggling, balloon painting and SO much more. No ticket needed for this circus – just stop by and enjoy the fun! One of the best parts of coming to Club Kids and the DAHLC is seeing old friends and making new ones! We are celebrating friendship at Club Kids this week with lots fun with our friends with activities to do with a friend and we will be working on & learning about team work. We can’t wait to see all our old friends this week and make new ones! 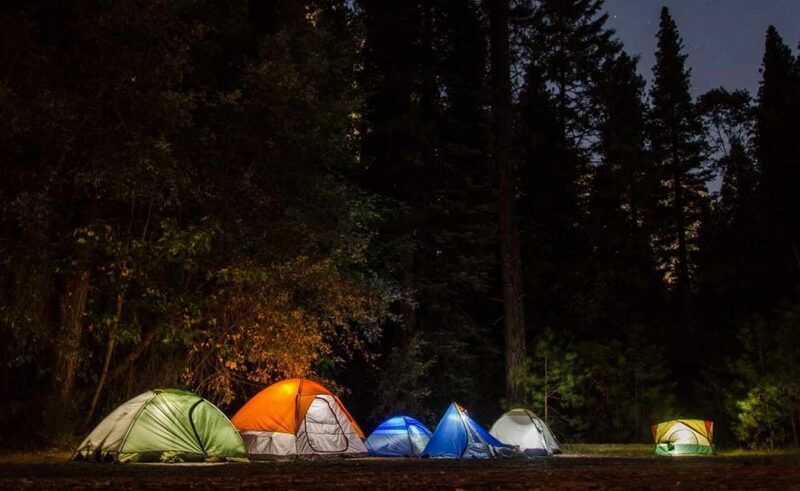 What is your favorite part of camping? This week we will be having a camping adventure at Club Kids! There will be tent to “camp” in, crafts like s’mores & camp fires, matching stars & moons, and, as always, lots of exercises. Bring the kids by for a fun-filled week!